I got a chance to try Justeat.in last week. It is an online take away food delivery service head quatered in UK and operating in 13 countries including India. Their service is available in Chennai, Bangalore, Delhi, Pune, Hyderabad and Mumbai. 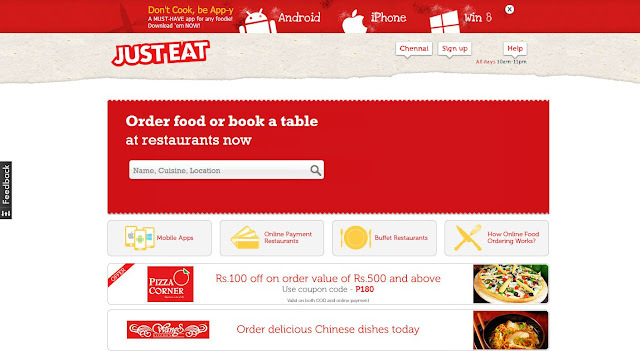 Justeat.in have over 2500 restaurants to order your food online from or book a table in. Over 52 cuisines and 2 lakh dishes that vow to ensnare senses. Place online food order and the service is free and along with that you get foodie points for every order through them which can be redeemed as cool gifts. Book Table, collect detail about restaurant like average meal cost for two, operating hours, user review and more. 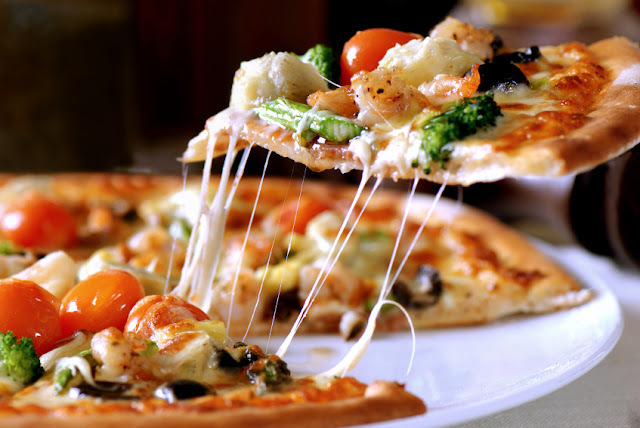 Buffet search to know about the restaurants that provide buffet and view their menu but this service is available only for restaurants in Bangalore as of now. Plan a party if you want to organize a party at home/office and don't have a clue about where to get the food from, leave all the worries to the experts at Just Eat, they will help you arrange your food. From Cakes to Chocolates, to dinner for the group they will arrange it all for you absolutely free of cost. 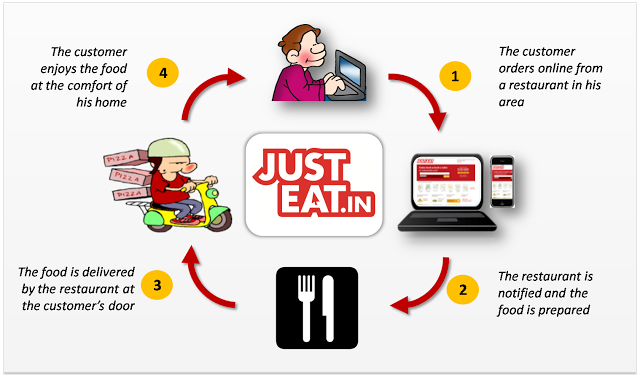 Justeat.in is easy to navigate. As soon as you enter site, select your city then enter your location to find out the restaurants in your area. I wanted to order pizzas and I had two options Pizza corner and Papa johns. I went for Papa Johns, the menu was listed properly and categorized well. The minimum order amount was also pretty less. I ordered a pizza, salad and cheese stick. The amount can be payed online or during delivery time. We can also place the order and opt for a pick up also. While placing the order they have option to select the time of delivery. I got SMS, and e-mail after placing the order. I even got a call from their side for confirmation. The status of the order can be checked online or though their phone support. I wanted the order to be delivered around 7.30 and they did deliver it on time. When I opened the box I found out that I have got potato wedges instead of cheese sticks. I called their customer care and let them know about it, they told me that they will replace it with 30 minutes, and kept their word. I also got a call after an hour to ensure that I have got my replacement. They also have free just eat apps which make ordering process much easy. I am happy with Justeat.in Service and customer care, as they took care of the order mix up pretty well I will surly place orders with them in future. 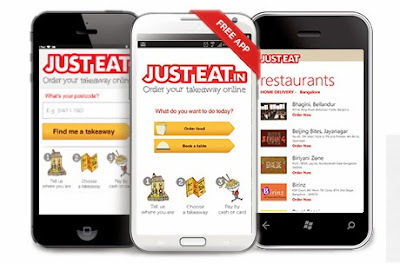 Have you tried Justeat.in ?